Ok , ok, I know what you guys are gonna say, I'm behind yet again! All the hype over the newly released face Masks by The Body Shop but I must admit I just never thought to go in there or check out these ranges for myself! Especially since everyone was obsessed with the Himalayan Charcoal Mask but I kind of have a love hate relationship with clay masks so I opted for the British Rose Fresh Plumping Mask. I think I am coming to the realisation that I really love floral scented things and this mask is like being smacked in the face with a bunch of roses (without the thorns, obvs) Like this face mask has a very strong scent so if flowers aren't your thang you need to stay well away from this. As you can see it's a very gel like consistency and actually has little shreds of rose petals actually in it which I honestly adore, I like products that go that extra mile and lookswise this totally does. Now, the thing about gel like face masks is that you never see a difference right away like you do with clay masks. 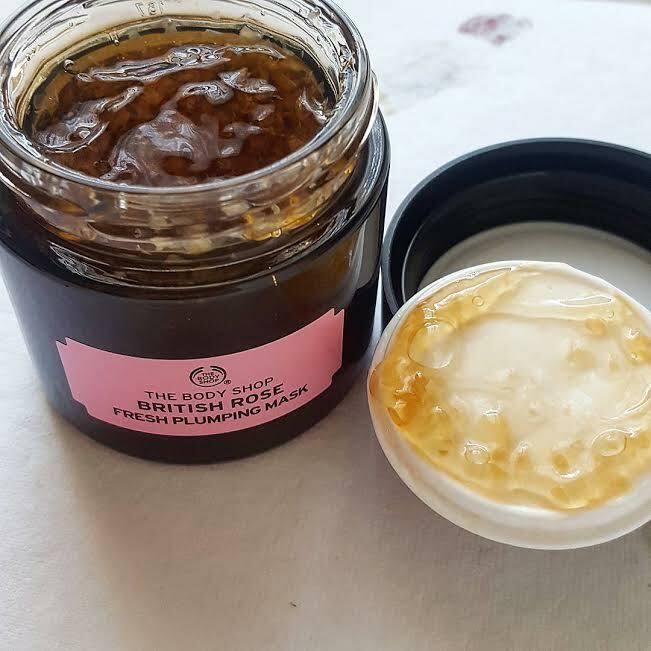 This Plumping face mask has aloe vera, rosehip oil as well as omega 3 and 6 so it has a lot of deeply nourishing properties but it's something that improves skin over time. This mask doesn't dry which I actually really like because it means that when I wash it off, it comes off with ease and I don't end up having a bright red face that feels all weird. 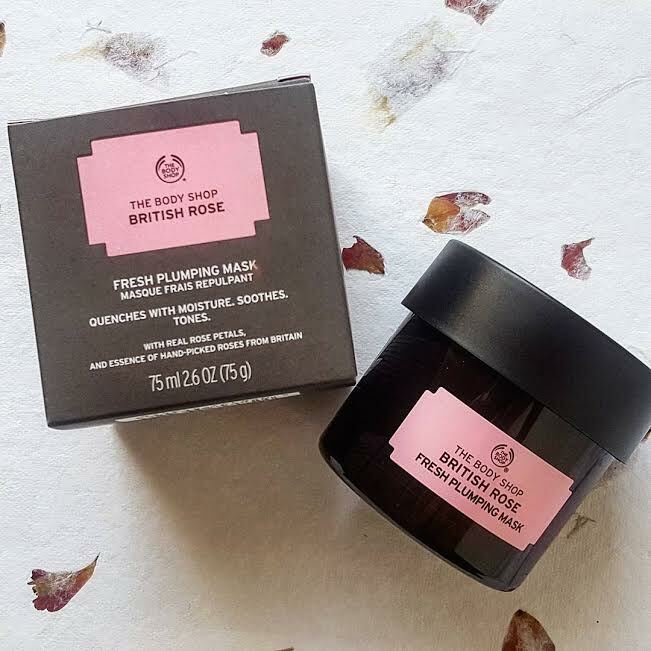 The British Rose Fresh Plumping Mask is one for the people out there who maybe have sensitive skin that wants something super gentle, who wants to inject a bit of moisture into their skin. I only use it once a week after I have cleansed and used my Pure Resurfacing Liquid Peel and I really like it! The mask is £16 which I actually thing is really expensive for a face mask but it's something that does exactly what I want, so I don't mind too much but after I run out I'm still a little undecided as to whether I will repurchase. What are you favourite face masks? loving the idea of a gel mask, I usually use clay masks or peel off masks and they can make my skin feel dry, never tried body shop masks before!